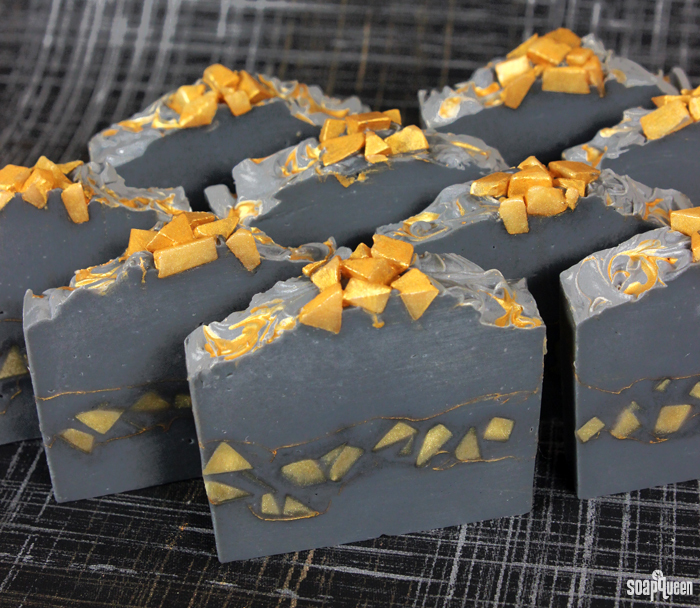 For this Gold Mine Cold Process soap, layers of mica and melt and pour embeds create the look of gold specks within a mine. The top is embellished with King’s Gold Mica painting and more embeds. If you’d like to learn more about how to mica paint, check out this blog post. Love the gold shimmer against the stormy gray base? 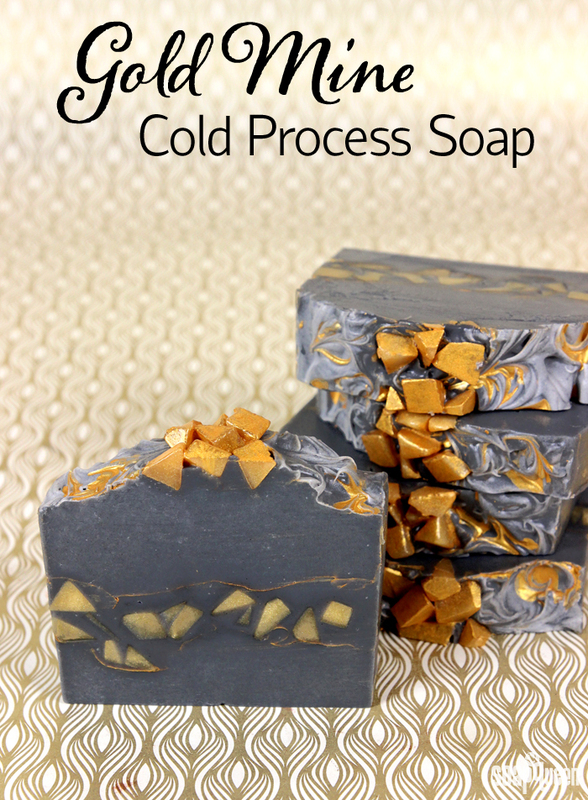 The Black, White and Gold All Over Cold Process Soap features a slightly different take on the mica painting technique. Scented with a combination of Pure Honey and Sensuous Sandalwood Fragrance Oils, this soap smells warm, sweet and alluring. Powerful, beautiful and full of fire, the appeal of dragons can’t be denied. Dragons have been reimagined for decades, from the menacing Smaug in “Lord of the Rings,” to the friendly Toothless in DreamWorks “How to Train Your Dragon.” Now, with the popularity of HBO’s “Game of Thrones,” dragons are more relevant than ever! 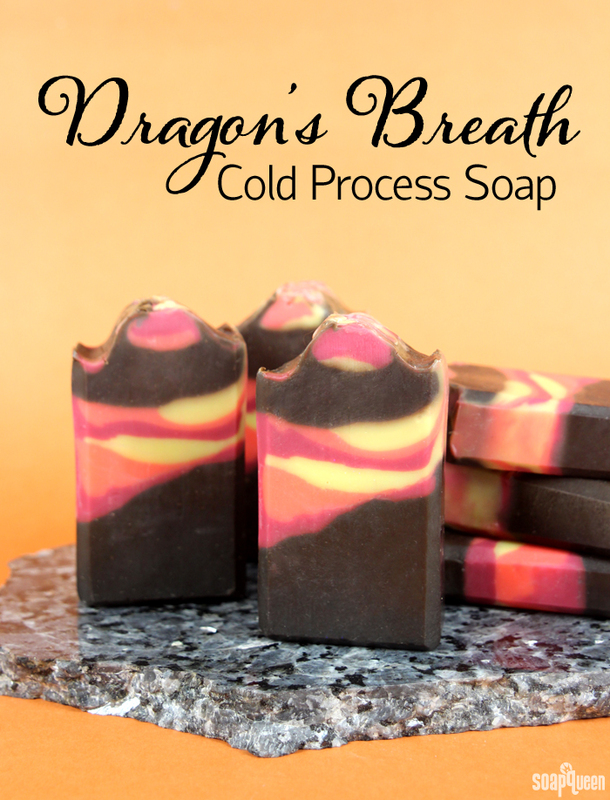 This Dragon’s Breath Cold Process soap is inspired by the fire and smoke emitted from a dragon’s mouth. Scented with Dragon’s Blood Fragrance Oil, this project smells wonderfully warm and smoky. To achieve the sloped fiery layers, the soap is poured into the Tall Narrow Wood Loaf Mold at an angle. A medium trace gives the layers the textured variability of a true flame. 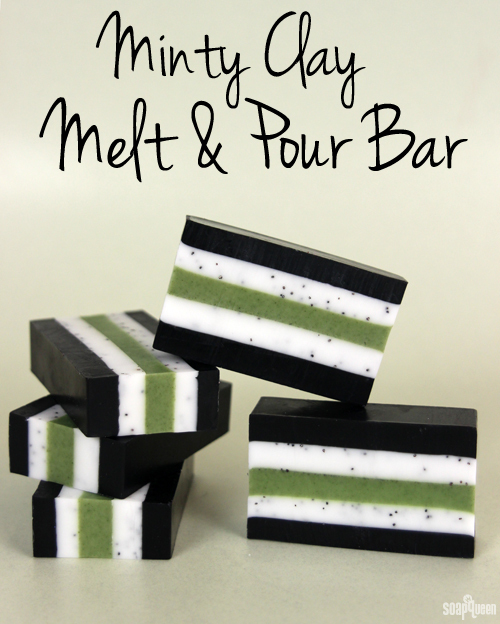 This melt and pour project is full of contrasting layers, texture and refreshing essential oils. 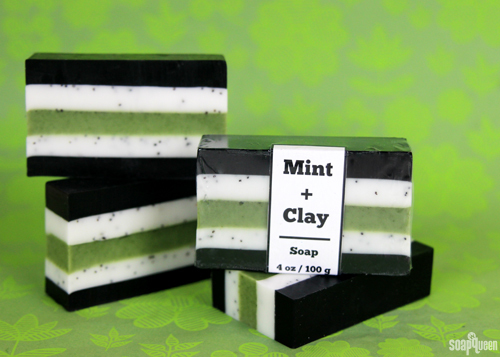 With natural colorants such as activated charcoal, green zeolite clay and spirulina powder, this is a great project for soapers who prefer to use natural ingredients. The combination of peppermint and rosemary essential oils is incredibly refreshing and invigorating.The poppy seeds add a subtle amount of scrub, leaving the skin feeling smooth. Both activated charcoal and green zeolite clay are known for their oil absorption properties, making this bar a skin-loving powerhouse! 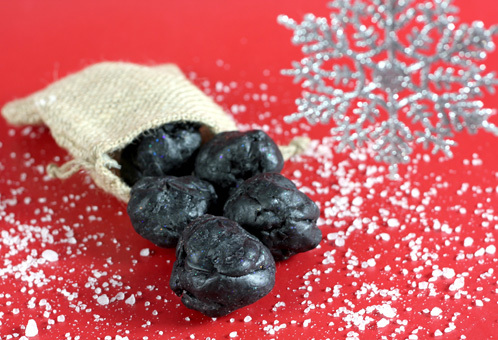 Do you know some one who will be getting a Lump of Coal Soap in their stocking this year (with good humor intended)? This is the perfect soap project to sneak into someone’s stocking. 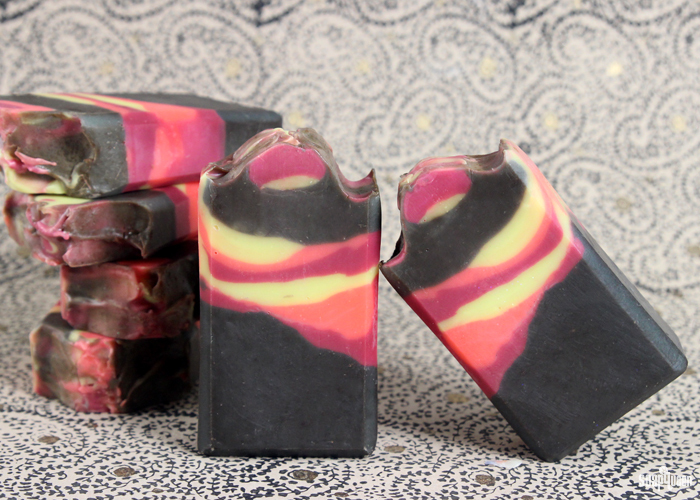 The fragrance oil blend of Cranberry Sweet and Patchouli is a holiday mix that’s musky and tart, perfect for the “sour” people receiving the coal soap (who will actually be getting a very nice gift of handmade soap). And of course I had to add a little bit of glitter, just to make it festive! Why not?